Many Egyptians believe the United States is deeply involved in their nation’s affairs. Some believe because of strong military ties, President Obama was behind the removal of President Morsi. Others believe because of a State Department search for a new reliable partner to do their bidding, President Obama was behind the ascent of the Muslim Brotherhood and is still working to hoist them upon a wary public. 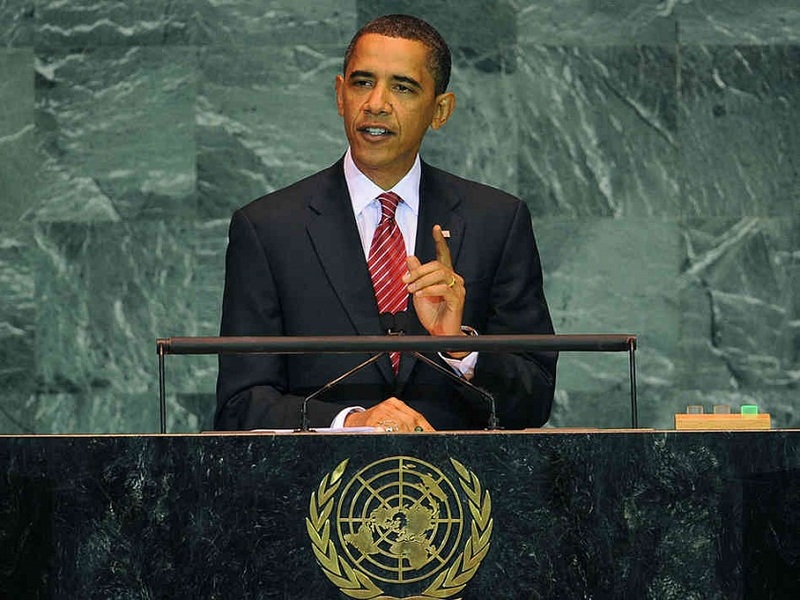 He has given me permission to share his latest take on the ‘weird speech’ President Obama offered at the United Nations. Point 1: Mohammed Morsi was democratically elected, but proved unwilling or unable to govern in a way that was fully inclusive. Point 3: but it too has made decisions inconsistent with inclusive democracy – through an emergency law, and restrictions on the press, civil society, and opposition parties. Comment: At this point, Obama did not mention anything about MB and Islamist terrorist actions committed during the last three months which had been the cause of this emergency law, etc. and this makes the whole difference. Point 4: Of course, America has been attacked by all sides of this internal conflict, simultaneously accused of supporting the Muslim Brotherhood, and engineering their removal from power. In fact, the United States has purposely avoided choosing sides. Point 5: The United States will maintain a constructive relationship with the interim government. Point 6: We will continue support in areas like education that benefit the Egyptian people. Comment: This argument is normally used to say: We are against the regime but we cannot harm the people! Point 7: Our approach to Egypt reflects a larger point: the United States will at times work with governments that do not meet the highest international expectations, but who work with us on our core interests. Comment: So we have to deal with a dirty military dictatorship against our will! Point 8: But we will not stop asserting principles that are consistent with our ideals, whether that means opposing the use of violence as a means of suppressing dissent, or supporting the principles embodied in the Universal Declaration of Human Rights. We will reject the notion that these principles are simply Western exports, incompatible with Islam or the Arab World – they are the birthright of every person. Comment: Condemning the Egyptian regime and nothing about MB monstrosities. I feel that he is speaking about Syria and not about Egypt. Point 9: And while we recognize that our influence will at times be limited; although we will be wary of efforts to impose democracy through military force, and will at times be accused of hypocrisy or inconsistency – we will be engaged in the region for the long haul. For the hard work of forging freedom and democracy is the task of a generation. Comment: I am not quite sure of what Obama meant by this statement? Does he mean that US at a certain moment would interfere to impose democracy by military force or is he talking of the military coup that happened in order to impose democracy? If he meant the first one so it is a warning: At a certain point we will be obliged to impose democracy through military force. But I am not sure of this translation. If the meant the second: How was it possible to get rid of a paramilitary/religious regime? Egyptian Ministry of Foreign Affairs: Obama speech reflects US submission to the Egyptians will and confirms that Egypt is walking firmly on the roadmap to democracy: Obama’s mention of emergency law and civil society reflects that he is not fully aware of what the Egyptian society is facing on the ground. El Hariry: MB prohibition and the force of the army defeated Obama in front of the people’s will: US sold the Muslim Brotherhood as they abandoned Mubarak. It is always fun to be an American in Egypt! In our experience, Egyptians, no matter which side of this divide they occupy, have always treated us kindly and with respect.